I was invited to a Super Hero Murder Mystery party for a friend's birthday. I was suppose to be some Rabbit super hero with a giant carrot. 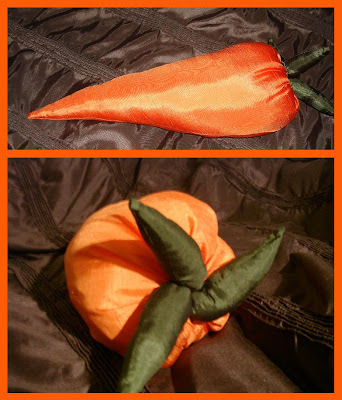 So I quickly sewed this stuff carrot. It's pretty cute. It's about a foot and half long.